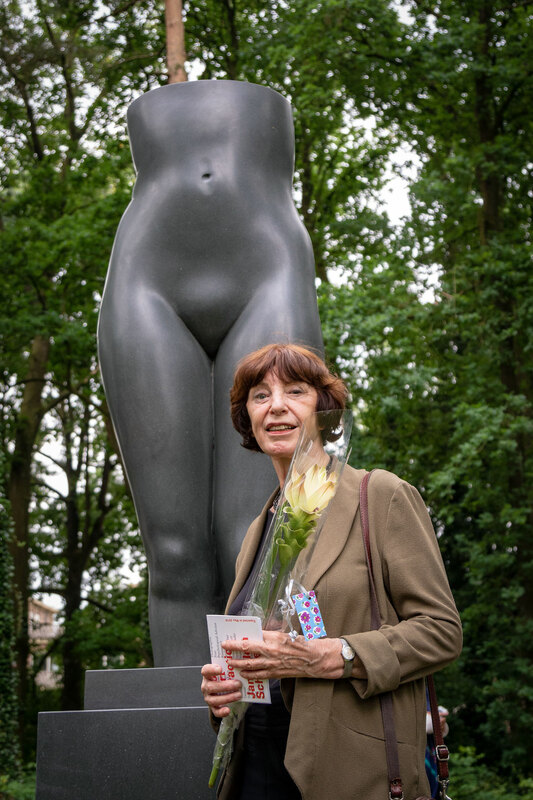 Under the title Spacing and Connection, the Amsterdam Sculpture Biennial ARTZUID presents an experience exhibition with more than sixty figurative sculptures and spatial installations. ARTZUID 2019 will feature work by internationally renowned artists, including Jan Fabre, Antony Gormley, Gloria Friedmann, Takashi Murakami, Yubi Kirindongo, Nancy Rubins, Elsa Tomkowiak, Franz West, Isa Genzken and Joep van Lieshout. Eja Siepman van den Berg will also be represented with three sculptures at the expo. The heart of the exhibition is in Berlage's monumental Plan Zuid with the leafy Apollolaan and Minervalaan. Here, in the green spaces, you can see theatrical set-ups of classical images combined with contemporary figurative art. New is a squares route with multidisciplinary artworks that connect with the history, culture and architecture of the neighborhood. In addition, solo presentations by internationally renowned artists mark the 2.5 kilometers long route from the Museumplein to the Zuidas. ARTZUID comprises an extensive peripheral program including artist talks, debates, art walks and events.